Finding that view pictures or video from your cloud storage isn’t that fun? Amazon Cloud Drive Photos app has recently been re-designed with the goal of bringing enjoyment back to re-living all those duck face selfies you took last summer. Amazon Cloud Drive Photos app is an app that lets you store your memories on the Amazon Cloud from your phone or tablet with 5 GB of space for free. You can store photos or videos up to 20 minutes in length and you are able to view them across mobile devices or computers. The app offers both automatic uploads of media or manual uploads. The app has been re-designed completely in order make it easy for you to look at your pictures and video stored on the Amazon Cloud. The navigation has been simplified so that you get get to your most frequently used features. A nice addition has been the ability to sort your videos in one album and sort your photos and albums by date and name, features that were previously missing. In addition to that, Amazon has also included some upload enhancements that allow you see the process of your uploads. 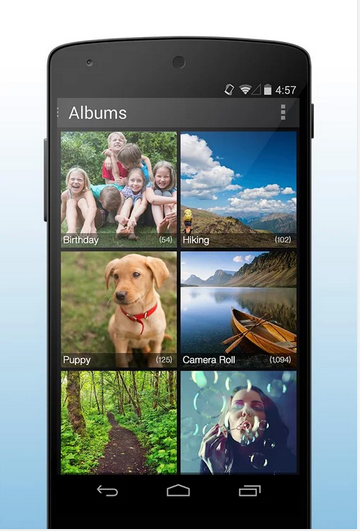 Amazon Cloud Drive Photo Drive app is available on both the Google Play Store and the Amazon Appstore. The post Amazon Cloud Drive Photos app re-designed appeared first on AndroidGuys.